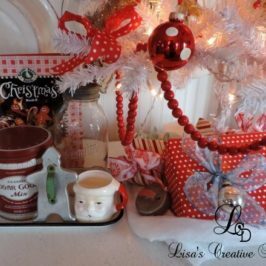 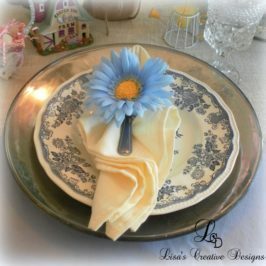 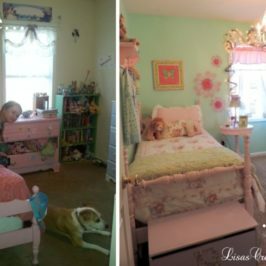 Today’s before and after story is one for the birds! 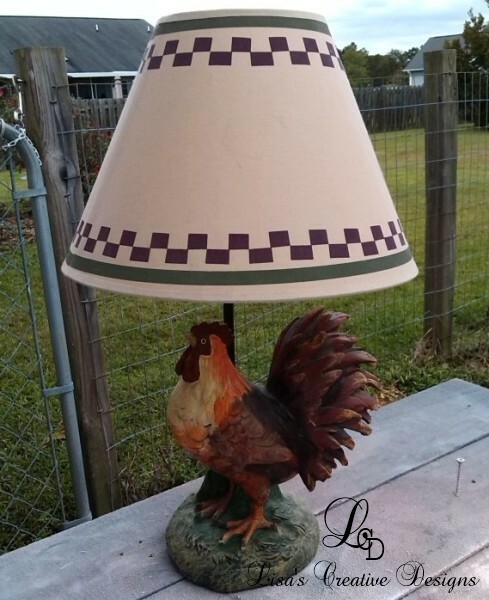 A few months ago I found this 1980’s Country Rooster Table Lamp looking outdated, sad and pitiful. 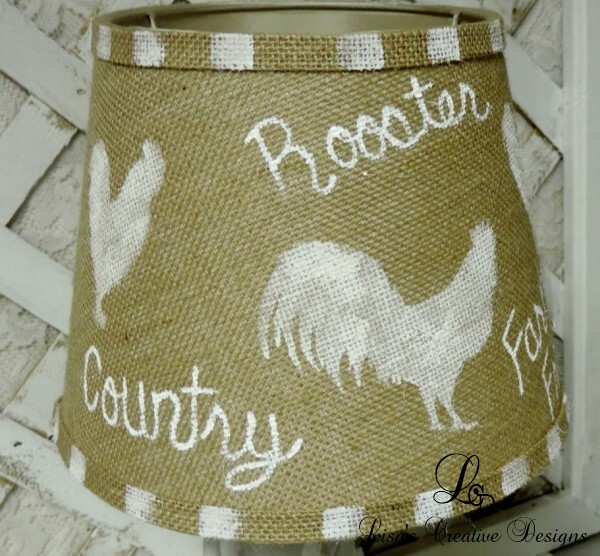 The stenciled lampshade just screamed late 1980’s to early 90’s Cutesy Country and had to go. 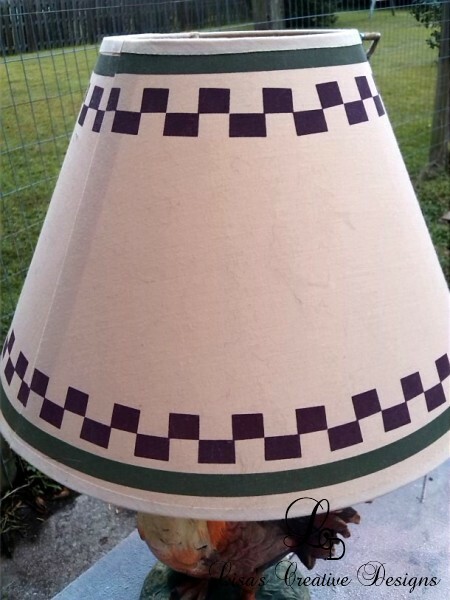 I replaced the old lampshade with a brand new burlap shade. 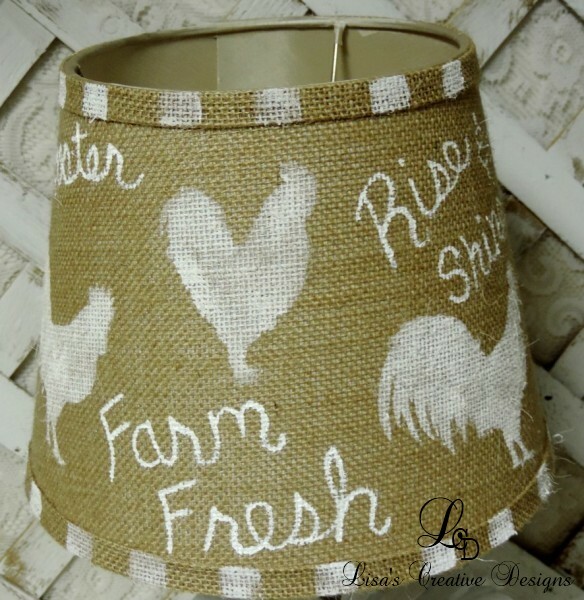 I embellished the shade with new stenciled roosters and some freehand Country inspired words. 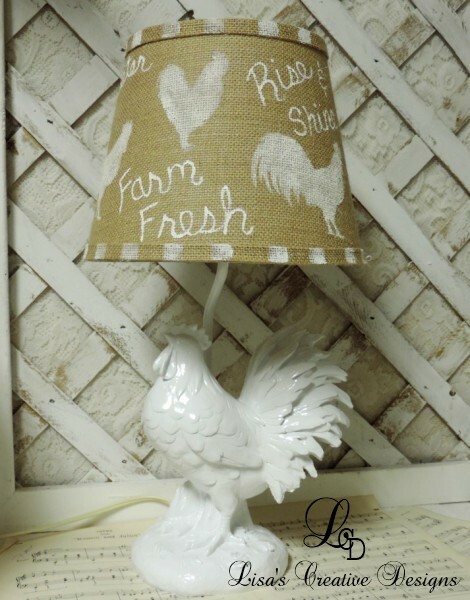 Mr. Rooster got a few fresh coats of white paint and this lamp makeover was complete! 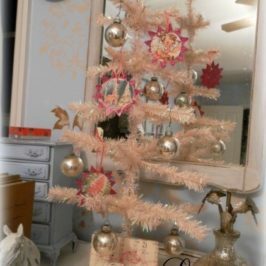 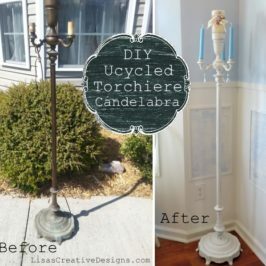 With just a few coats of paint and some creativity this vintage lamp makeover was easy peasy and wow what a difference! 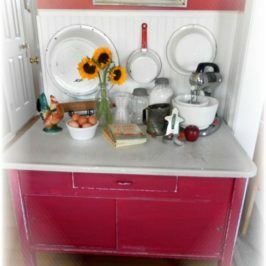 With so much waste in this world I am so happy to be able to breathe new life into old pieces that may end up in a landfill someday. 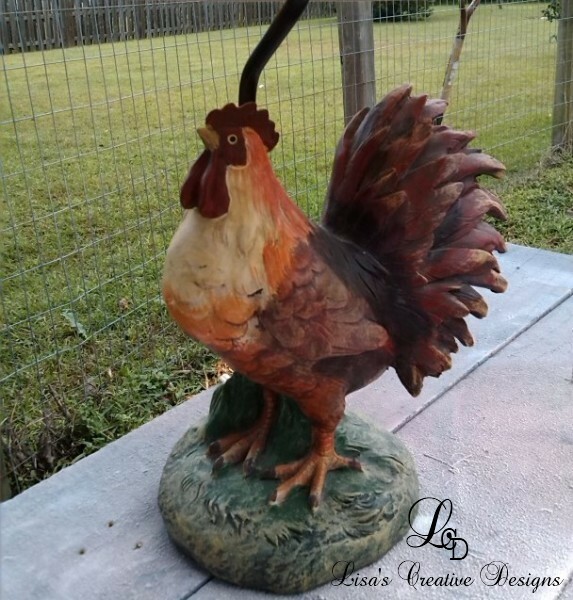 This Redesigned Rooster Lamp is now perfect for a farmhouse kitchen or even a french country style room and can be purchased here.